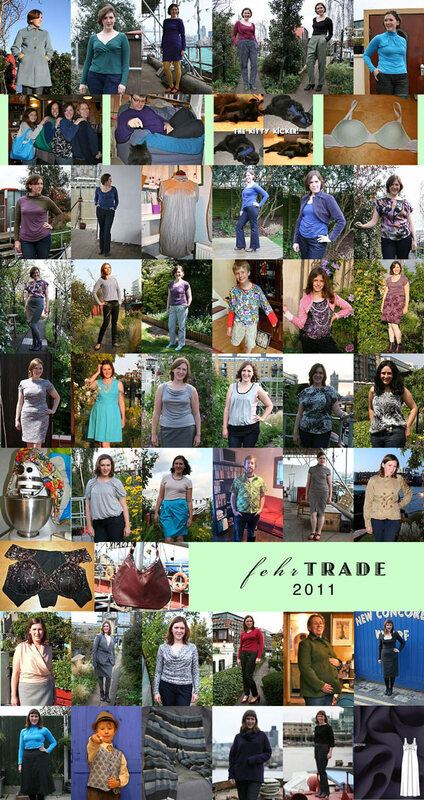 As is traditional, I like to take the opportunity at the start of a new year to look back on what I’ve sewn in the previous calendar year. Somehow I keep getting more and more prolific each year… and it’s a bonus that you get to watch my hair grow as you skim downwards, ha! You’ll notice a few at the bottom that I haven’t shown you yet (seriously I only just finished the maternity maxidress with mere hours to go! ), but all the rest can be seen by clicking the Gallery link on the top left of the site, then clicking through to the full article. I taught 2 sewing lessons to help 3 friends learn to sew! 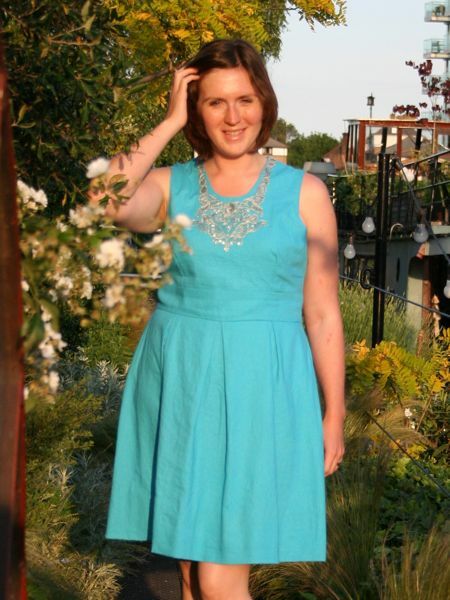 I was published this year, with my dress variation instructions in the BurdaStyle Sewing Handbook! OMG! Plus, I err, work a full time job that has nothing to do with sewing, we spent the majority of weekends from May-Dec doing “galley slave work” converting the hold of our boat, and according to my running site, I also ran just over 2000km this year (whoa!). And I cook dinner from scratch most nights and bake at the weekends, too (but no matter how I say it, that either sounds like bragging, or something that everyone should do anyway without even mentioning. hrm.). Biggest disappointment was the Burda draped suit jacket. Blah. Wow, this was really difficult! I could’ve picked about ten things here, easily! The Burda September cover dress, both winter and summer versions. LOVE both of these. 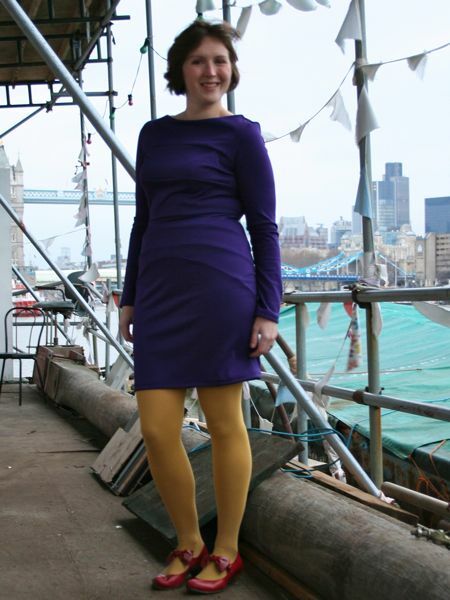 In fact, I’d probably venture to say this was my pattern of the year, even though it was published in 2010 (whatever!). The turquoise and silver motif dress, which took hours of handsewing all around France. True to my word, I wore this all summer long, and the prickstitched lining made me smile every time. 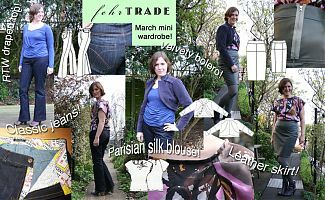 My entire March mini-wardrobe! I’ve worn the jeans, bolero, leather skirt, and silk blouse more times than I could count. I pulled out all the stops on this, and I’m still kinda amazed I finished it all in under a month and got such amazing wear out of everything. 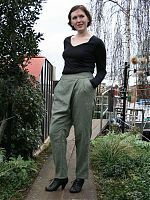 I wasn’t even sure if I even liked my foldover wool trousers when I first tried them on, but slowly but surely, I began to love them. It didn’t hurt that being underlined in silk made them my most comfortable and warmest trousers ever! Most definitely grey! From the grey lace dress to the grey leather skirt to the charcoal grey sheath dress and vintage skirt, three separate knit tops, plus an entire suit, I think my love affair with the most underrated neutral is plain to see! I’m not a “resolution” person, so I won’t be making any bold claims for 2012 – all I ever do is look to the near future and sew what I like. With a bit of luck, sometimes I even like what I sew! If you’re curious to see how 2011 stacked up to previous years, you can have a look at previous roundups here: 2010, 2009, 2008, and 2007.